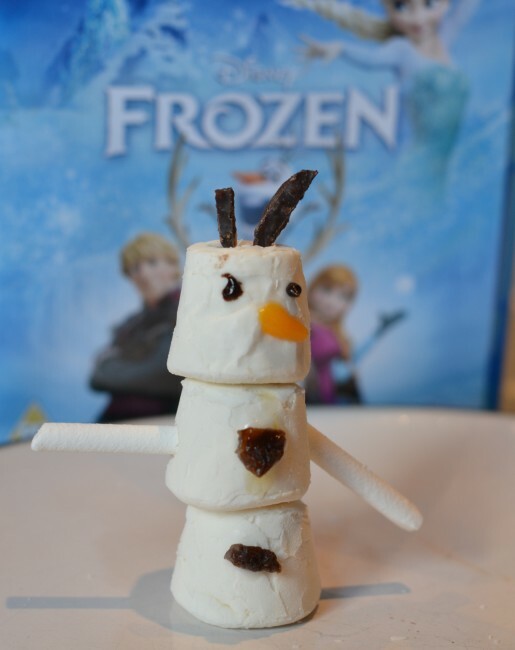 You are here: Home / Kids Craft / Do you want to build a snowman? At the end of the month we’re having a joint birthday party for my girls with a Frozen theme. I REALLY wanted to make these as Frozen party invitations, but ran out of time, so they’ll have to be party favours instead. What do you think of Olaf? We used marshmallows, raisins, icing pens, candy sticks and the hair is thin mint crisp chocolate. Cute or a bit scary? We put the loose bits into transparent bags for the children to take home and build their own Olaf. « Anyone got a Doctor leaf? Susan Mann recently posted..The Gallery – At Home With The …. Perfect! 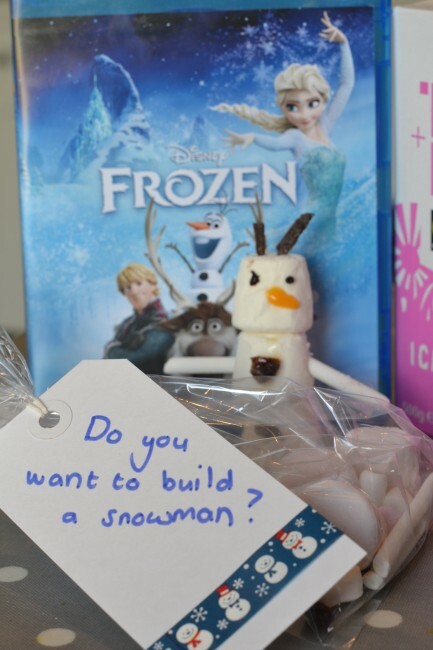 I’,m going to have to get my thinking cap on, as my youngest wants a frozen party…. Ooooh, I’m sure there are lots of great ideas on Pinterest.